You’re only as good as the company you keep, which is why we are proud to work with some of the best partners in the business. Working hand-in-hand with our top-notch group of in-house providers, World’s Fair Exhibition Hall is equipped to handle every detail of your event from start to finish. When we say we offer turnkey service, we stand by that promise. Catering – Here in the South, we care deeply about our food. It typically is the focal point of our social gatherings, and an event’s success can hinge on the quality of the food. That’s why we work exclusively with Savor … Knoxville Catering, our in-house food and beverage provider. Savor prepares all food onsite and uses homegrown food products whenever possible. Our in-house executive chef, Jonathan Frye, has an extensive culinary background that he brings to each and every dish. From tables and specialty linens to carpets, drapes, backdrops and stages, ACES has you covered for all your trade show or event needs. The professionals at ACES are able to help you identify the elements needed to make your event a standout or simply turn your existing vision into reality. Audiovisual Production – Once the table is set, we help put the spotlight on your event through the services of a first-class production team. M&M Productions USA produces major concerts and events worldwide, and stands ready to meet all your audio, video, digital, stage, sound and lighting needs here in Knoxville. From video conferencing to web streaming to screens and microphones, M&M can deliver. Convention and Visitor’s Bureau = Visit Knoxville – Knoxville is the perfect destination for your next meeting. 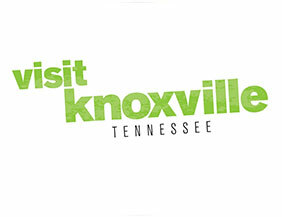 Visit Knoxville, the official Convention and Visitor’s Bureau for the city of Knoxville and Knox County, is an excellent resource to help plan your entire visit.